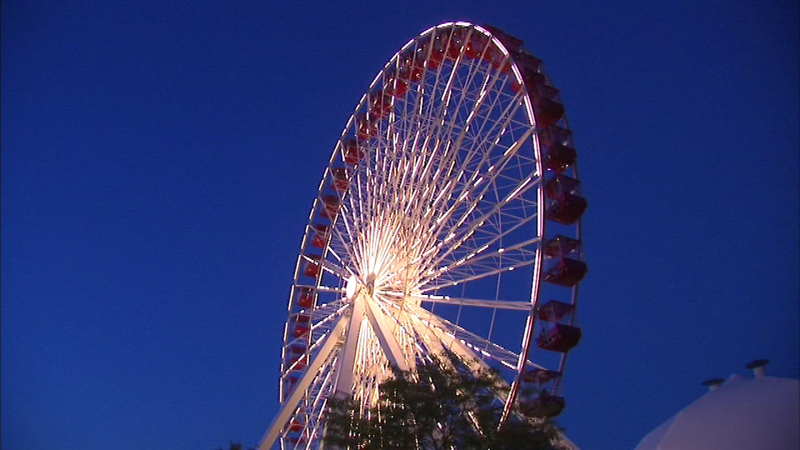 The iconic Navy Pier Ferris shut down at Sunday night after 20 years to make way for a new one to be in place next summer. CHICAGO (WLS) -- Film critic Richard Roeper was the first person to ride the Navy Pier Ferris wheel in 1995 and Sunday night he was the last. Thousands of people rode the iconic Ferris wheel this weekend before it shut down at 8 p.m. Sunday night after 20 years. A Ferris wheel 50-feet taller is coming to Navy Pier and is expected to be in place next summer.